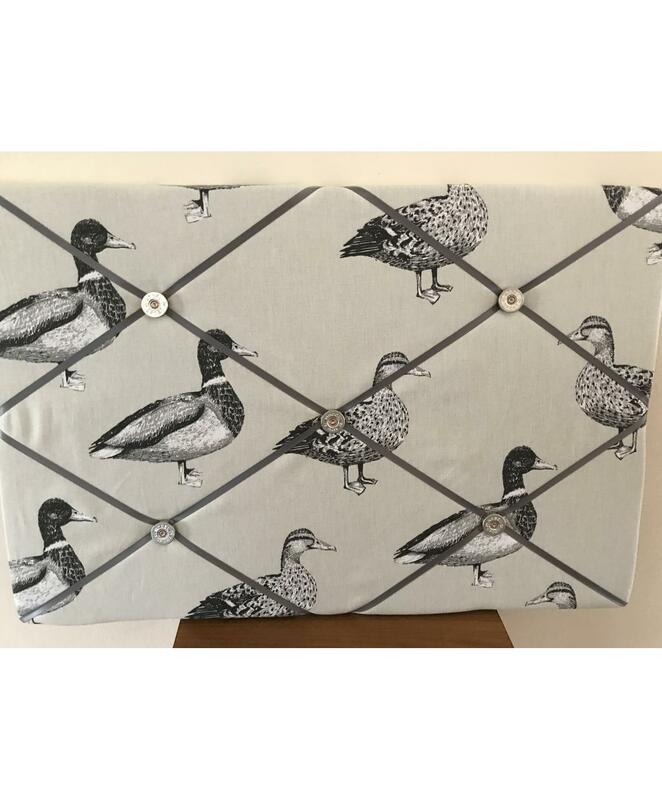 Fabric Notice Board, made in England, using MDF with foam and covered in lovely quality fabric with Duck print. The pattern will vary so each board will be slighty different. Backed using plain fabric and wall fittings are supplied. Silver Cartidge caps are used to secure quilting and ribbon.